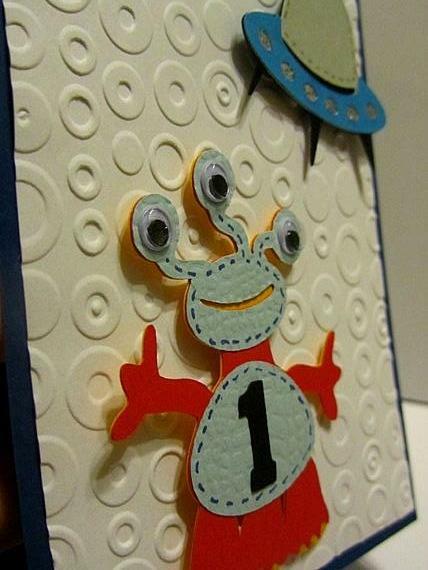 3wks ago I had someone ask to make an alien and spaceship theme invites. After seeing the invites, she decided to add banner. 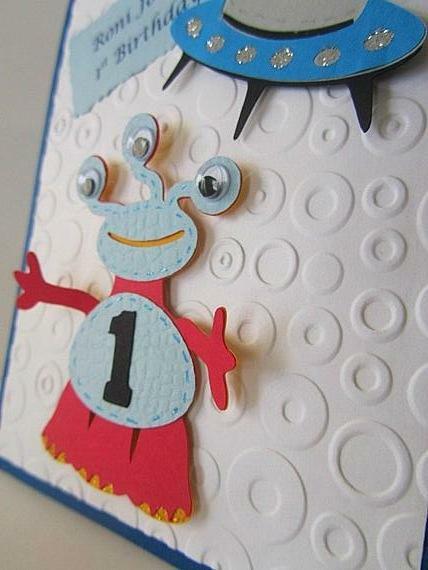 When I was almost done with it, she ask me to make aliens and spaceship image for cupcake toppers and favors. Since its for a 1st birthday, she has a lot of baby jars around the house and decided to use them for birthday giveaways/favors which is a smart idea. To add more to the package is a table center..